Calen Born looks to put an end to Austin Jones three fight winning streak at LFA 57. The fight takes place Friday night in Jones home state of Colorado. 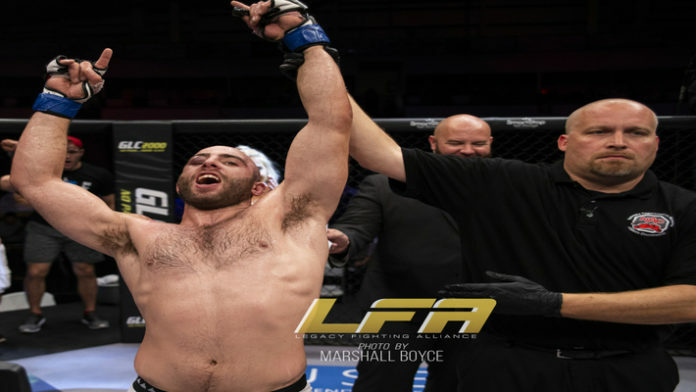 Born made his LFA debut with a Unanimous Decision victory over knockout artist Kassius Kayne at LFA 48 last September. His performance on that stage was confirmation that he deserved to be at that level. Born’s confidence is at an all time high. He is certain he is going to win, but as for a prediction, he won’t make one. That’s not his style. He wants to let his fighting do the talking. Make sure to catch the entire interview below as he talks more about the fight, his experience with LFA, and his plans for 2019.